through an old friend in the netherlands. read below to see what he is currently undertaking. i am amazed every day. Mark Slats is hugged by his mother Maria in Ramsgate, UK last May. He was about to row to The Netherlands here, never rowed before in a boat like this. with just two teams of 4 rowers ahead of him. This is a 3.000 mile journey from Europe to America. for cancer and for the Antoni van Leeuwenhoek Cancer hospital. UPDATE: (early January) Mark Slats is rowing solo across the Atlantic Ocean for 28 days now and with this blistering pace he’s on schedule to break the World Record with a stunning two weeks!! Mark is competing in the solo class, but he’s ahead of the leaders in the double and trio classes as well. Currently, the Gentle Giant is on the 4th place overall with only fours around him. Be prepared for his arrival, which is expected on January 14th! 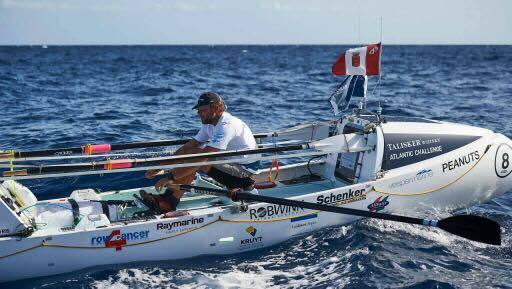 Does Dutchman Mark Slats crush the world record ocean rowing? 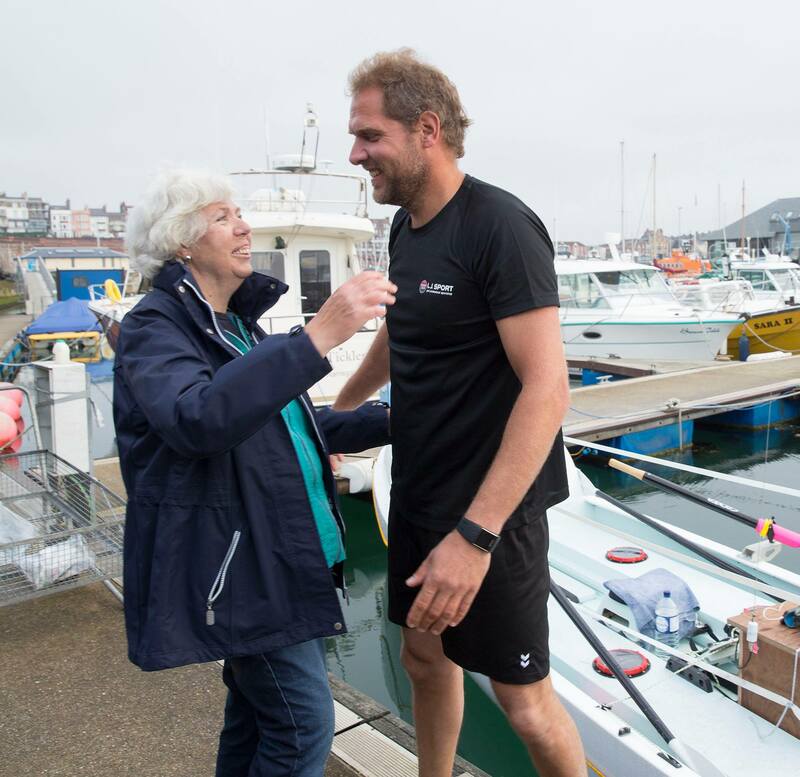 Mark Slats participates in the Talisker Whiskey Atlantic Challenge , the toughest rowing event in the world, to raise money for the Antoni van Leeuwenhoek Foundation. The route runs from Europe (the Canary Islands) to America (Antigua). He is rowing solo and nonstop. Until last year, this carpenter from Wassenaar had never rowed. Mark is rowing for his mother who is seriously ill and all those other people who fight cancer every day. Despite the hardships of the race, Mark remains positive, he enjoys the ocean and feels good. His physical and mental strength are extreme. Blisters, abrasions and contusions do not bother him, he is determined to crush the record. He rows around 100 miles a day and the expected finish date is currently being tested on January 14th. After his three previous world voyages as a sailor, the sea has few secrets for Mark, yet every day is new on the ocean. Mark talks about birds, flying fish and dolphins around the boat, even a collision with a whale. He can not heat the freeze-dried food because his gas bottle has been thrown overboard. Cold is not tasty so it is a task to get enough calories. He no longer has a feeling in his fingers but jokes that he no longer feels the blisters on those fingers. Mark has to finish his boat before January 18 13.03 to break the record of 35 days and 33 minutes. Then he has to walk an average of 2.6 knots, he has rowed an average of 3.4 knots from the start and now has 581 miles to go to the finish. He is in the lead in the Solo class from the start and 4th in the overall rankings. Still, the race has not yet run, a technical defect or sudden whirlwind can still be decisive, it remains exciting until the finish. yes, he and his story are inspiring, for so many reasons. happy to have cheered you up, peter. how are things in the uk? Okay. Crying. What a son! What a man! How his mom must feel! Two more days – my heart is rowing there with Mark. Thank you for sharing this beautiful and inspiring story with us, Beth! I join your kind readers in cheering for Mark and willing him on. What a hero! I’m sick to the teeth of hearing from these yachting ‘heroes’ who win vast amounts of money sailing their incredibly expensive boats. This is someone doing something valuable with nothing more than determination! I truly enjoy your blog, especially your responses to the writing prompts, and have for a couple of years now! Just a way to say; “hey, you…….are an inspiring, funny, and great read, EVERY time, so thank YOU! Wow that’s awesome! Thanks so much for sharing! Good luck Mark. He’s a giant in more than one way. he is. 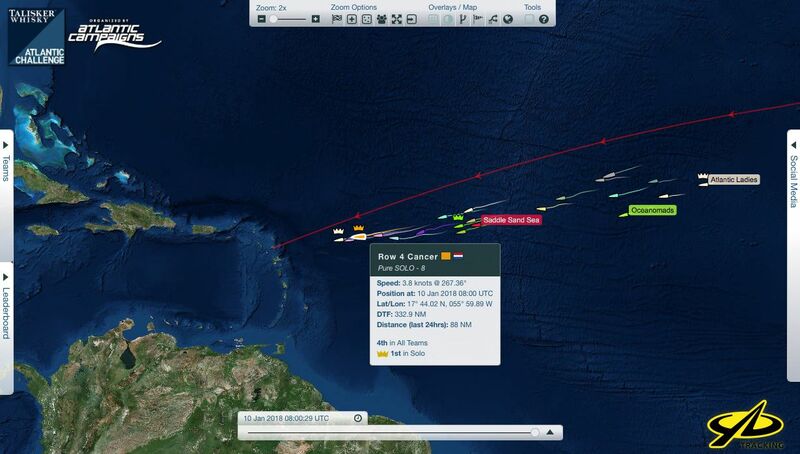 and tonight he arrived in antigua as the man who broke the speed record for solo crossing of the atlantic. That is amazing. People are a continual, and amazing, surprise. Beth, I’ve just extended the #BloggersUnite gratitude challenge. Come join us! I love your positivity, and it would be so fun to read your list. I know kinders would be on there, beautiful lakes, and all kinds of happy things. Give it some thought!